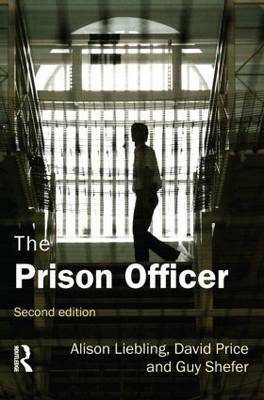 This book is a thoroughly updated version of the popular first edition of The Prison Officer. It incorporates the significant increase in knowledge about the work of prison officer since the first edition was published and provides a live account of prison work and ways of understanding the role of the prison officer in the late-modern context. Few detailed narratives exist of prison work and the sort of role the prison officer occupies; this book addresses the gap. Using a range of quantitative and qualitative data and drawing on available theoretical literature it explores the role of the prison officer in an `appreciative' way, taking into account the little-discussed issues of power and discretion. It provides a single accessible guide to the world and work of the prison officer, looking in detail at the present role of the prison officer in Britain and demonstrating the centrality of staff-prisoner relationships to every operation carried out by officers. This book will be of relevance to anyone with an interest in the work of a prison officer; students and others looking for an introductory survey of the literature and essential reading for any established and aspiring officers.